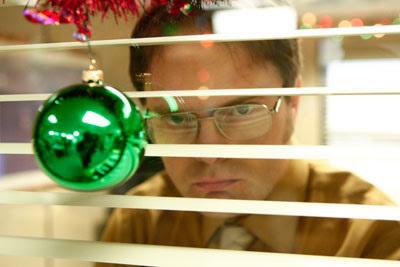 Tonight's new episode of "The Office": "Moroccan Christmas"
A Moroccan-themed holiday party goes up in flames; Dwight corners the market on the hottest toy of the season. Anyone else have some interesting sound issues for about 10 minutes of the episode? I could hear the background noises but no talking. Maybe it was supposed to be that way? I had the same problem. Cars, sitars, but no dialogue. Guess I'll just have to watch those parts online tomorrow.